Showing 10 articles from May 31, 2015. Photo by Matthew Bowling The driver of the Kenworth dump truck was cited for excessive speed that caused his load to topple over a guardrail. The driver was transported to Willapa Harbor Hospital for non-life threatening injuries. One may have noticed the large flatbed trucks driving through town with massive boulders in tow, coming from Morton and being transported to the Ilwaco jetties. Photo by Larry Bale Rayce Newman celebrates after one of his finishes during the Washington State 2B Championships. 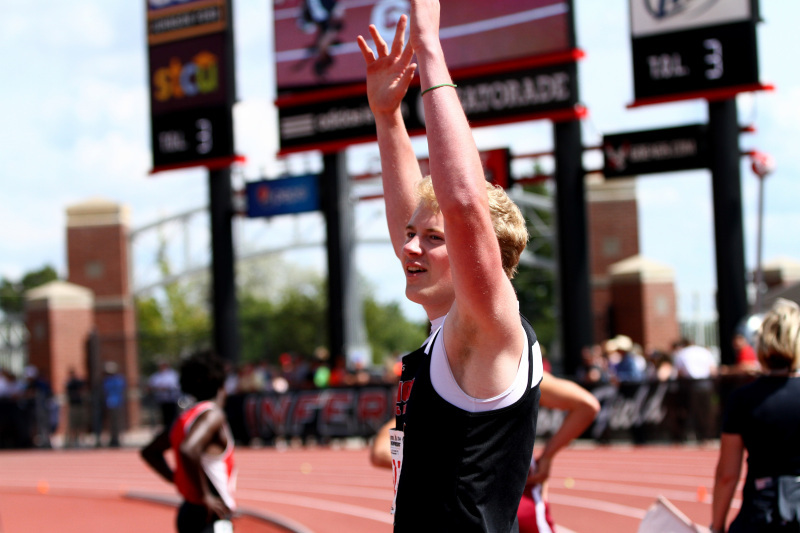 The 2B State Track and Field Championship was held May 29 and 30 at Eastern Washington University, where local schools, Raymond, South Bend and Willapa Valley competed with up to 40 other 2B schools. In the boy's category, Raymond took first place with 89.5 total points. This is the second year in a row that the Raymond boys have taken the State championship as a team. Residents took time to shop for vegetables at the GHC Expo this past weekend. The annual event is picking up steam as they sold out before the day was complete. 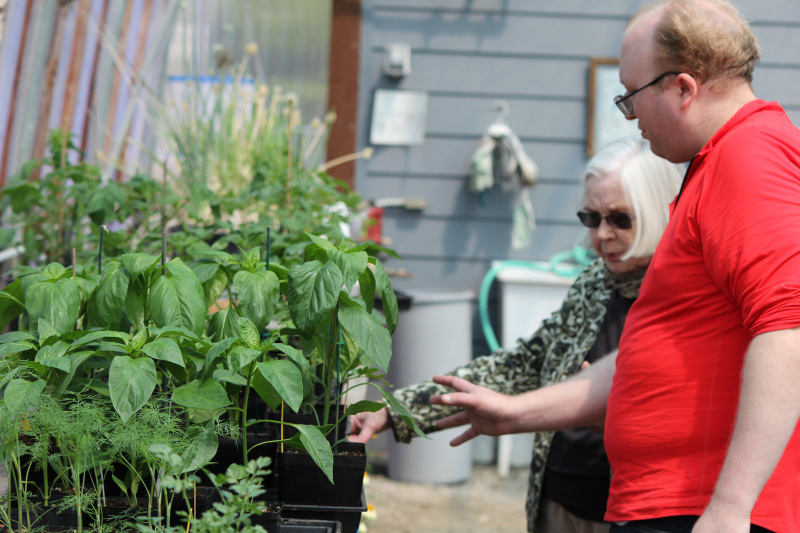 For the past few years Grays Harbor College and the Riverview Education Center, has been hosting a plant expo featuring the work of their greenhouse under the management of Ron Staricka. The Teen Advocacy Coalition (TAC) has partnered with Let's Draw the Line, a state wide prevention effort, to support youth in making healthy choices and avoiding alcohol use. Through activities such as Substance Abuse Prevention Week, After Prom Party and Town Hall, TAC has provided local youth with safe alternatives to have fun. The Delores Soule Fund will provide two $5,000 scholarships to students presently attending a college/university. 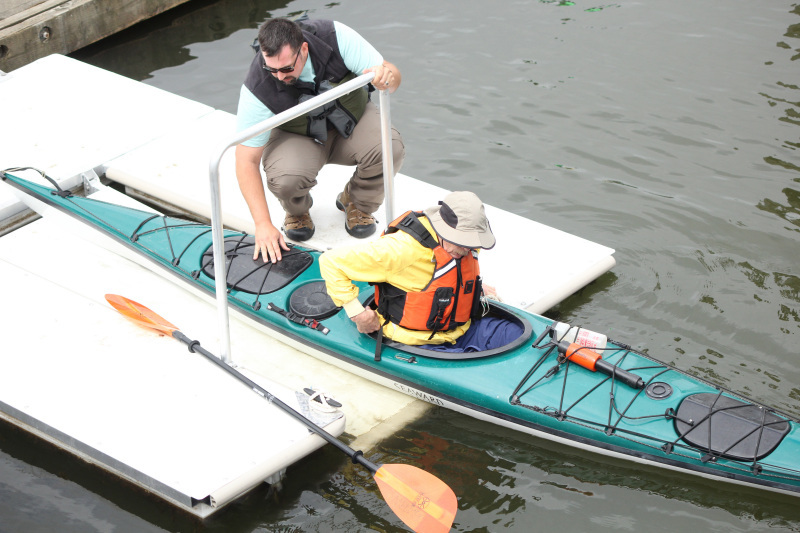 Kayak enthusiasts lined up to take their turn at the new kayak launch/dock recently installed at the Raymond City Dock. This past weekend was the first official Kayak Day in Raymond held by the Willapa Chamber of Commerce. ABERDEEN - Multiple offenders at Stafford Creek Corrections Center, located six miles west of Aberdeen, were involved in a fight which lead to the prison going into lockdown. The American Legion Raymond Post # 150 meets the first and third Wednesdays of each month at 7 pm. A potluck dinner, beginning at 6:15 pm. precedes the first meeting. The Legion Auxiliary also meets at 7 pm. on the third Wednesday of each month. Thanks to the sponsorship of the Willapa Harbor Lions Club, Culpepper & Merriweather Circus, America's Favorite Big Top Circus is coming to Raymond on Thursday, June 4th at the Empty Lot across from Chen's Restaurant, with two scheduled performances at 5 and 7:30 p.m.